Happy Friday! I haven't been posting much because I have been so busy lately! I promise to hop on next week and fill you in. I am excited to share Nicole's story with you today! 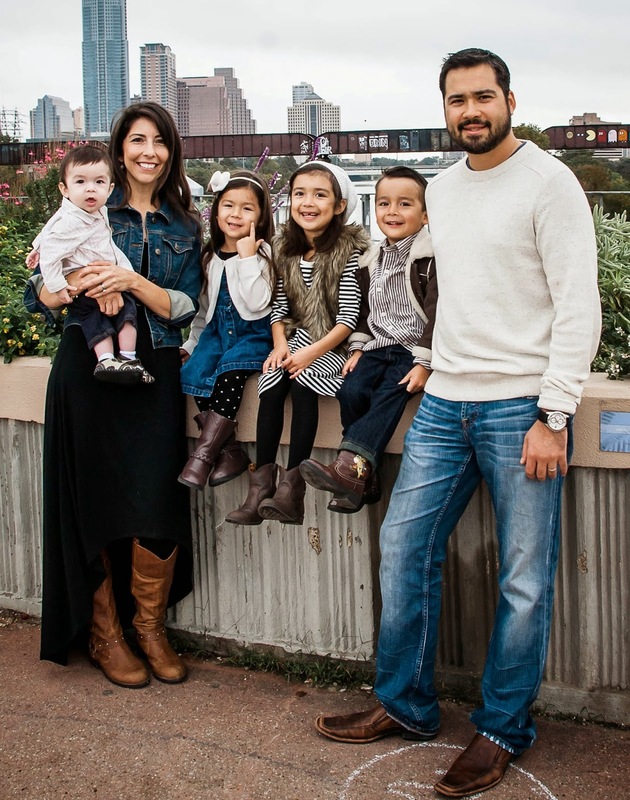 She is the mom of four adorable kids and is an inspirational mother and marathoner, she also blogs at My Fit Family, be sure to head over there after you read her story! I didn't truly start out on my health and fitness journey until about a year after my daughter was born. In 2007, I joined a gym because I wanted to lose the last 10 pounds of baby weight I had gained and it was around that time, I discovered a passion for running. I jumped on the treadmill and discovered I couldn't run one mile without stopping. Something happened inside me, and I saw that mile as something I wanted to conquer. Before I knew it, I was running one mile without stopping and I set another goal to get to two. Within a few months I was running my first 5k and a few months later my first 10k and I realized running was something I enjoyed--not only for the physical benefits but because of how it made me feel on the inside. The following year I got pregnant with my twins and because of two previous miscarriages, I decided to cut back on virtually all physical fitness activities. I would walk, but anything more strenuous hurt my body too much physically. I gained over 65 pounds during my twin pregnancy, but every pound was worth it because I delivered two healthy babies! I remembered the feeling running gave me, and as soon as I got clearance, I slowly eased back into running and training for my first half marathon at 7 weeks postpartum. When my twins were 7 months old, I ran my first 13.1 miles and never felt so happy to see my husband and three children waiting for me at the finish line. By that time, I realized that not only was it important to MOVE my body but to FUEL my body with healthy foods. It was a long journey--from the moment I stepped into the gym in 2007 for the first time to where I'm at today--a marathoner, someone who loves weight training, and feeding myself and my family delicious and healthy foods. We love to indulge in things like pizza and burgers at our favorite restaurants, but on a daily basis, our family is nourished with healthy foods meant to support our active lifestyle. I believe in chasing after dreams and that our bodies and minds are capable of amazing things. I believe in the importance of moms taking care of themselves, both physically and emotionally--we constantly give and serve, and it gets easy to forget about our own needs and well-being. I believe in eating for nourishment and health but also in living life and enjoying foods and not living solely off of plain chicken and brown rice. I believe that women should be each other's biggest cheerleaders and we should stop comparing, gossiping, and tearing each other down because of our own insecurities. I believe in the power of moving your body and finding your passion--whether it's running, cycling, yoga, pilates--whatever it is, there is something that will help add to your life--that will enhance it in a healthy and happy way. I believe that life can be incredibly beautiful and yet sometimes so difficult it will take your breath away. I believe my family and Faith are the two things I will always lean on, love and value most in life. Thanks to Nicole for taking the time to share her motivating and inspiring story with us today! You are a wonderful example for your children! She does have a great story!